If you don’t want your tax dollars to help the poor—then stop saying that you want a country based on Christian Values, because you don’t. If you want to exhibit Christian values, you share of your own resources. You don’t take the resources of your neighbors and hand them out as if they were your own. 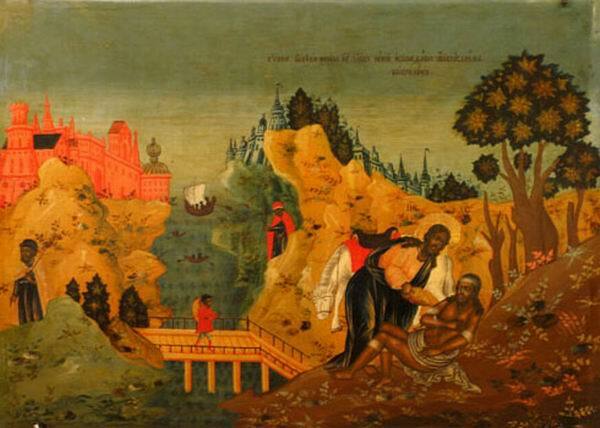 The most famous of Jesus’s samaritans, the Good Samaritan himself, helped on his own dime, not by forcing the innkeeper to give the victim free lodging. It was the priest and the Levite who left the victim to the assistance of government. This is what the bible says forced giving leads to: corruption. Judas, who held the purse, did not want Mary to give to the poor; Judas wanted her to give to him. Cronyism is rampant in government programs. Just as Judas siphoned from the disciples’ poor box, politicians and bureaucrats siphon from our tax monies to give to those who give back to them. Samaritan, why are you wasting your time? Let the government handle it. That’s why you pay taxes. The quietest way for a government to facilitate giving is simply to not take away people’s money in the first place. Here, also, the bible has something to say. Paul was not saying to let the government take over helping the poor. Each man should test their own good works, each should bear their own load. Don’t worry about what your neighbor is doing, stick with what you are doing. Among the many other questions raised by the nebulous concept of “greed” is why it is a term applied almost exclusively to those who want to earn more money or to keep what they have already earned—never to those wanting to take other people’s money in taxes or to those wishing to live on the largesse dispensed from such taxation. No amount of taxation is ever described as “greed” on the part of government or the clientele of government. Caesar is greed; god is love. Government bureaucrats are not Christian missionaries, nor should they be. But government welfare is the greed of Judas, wanting not to do one’s own good works, but to force the good works of one’s neighbor. In response to Simple, obvious, and unobstructive: minimize the value-minus of taxes: There is no value-added in taxes, but we can minimize the loss of value. 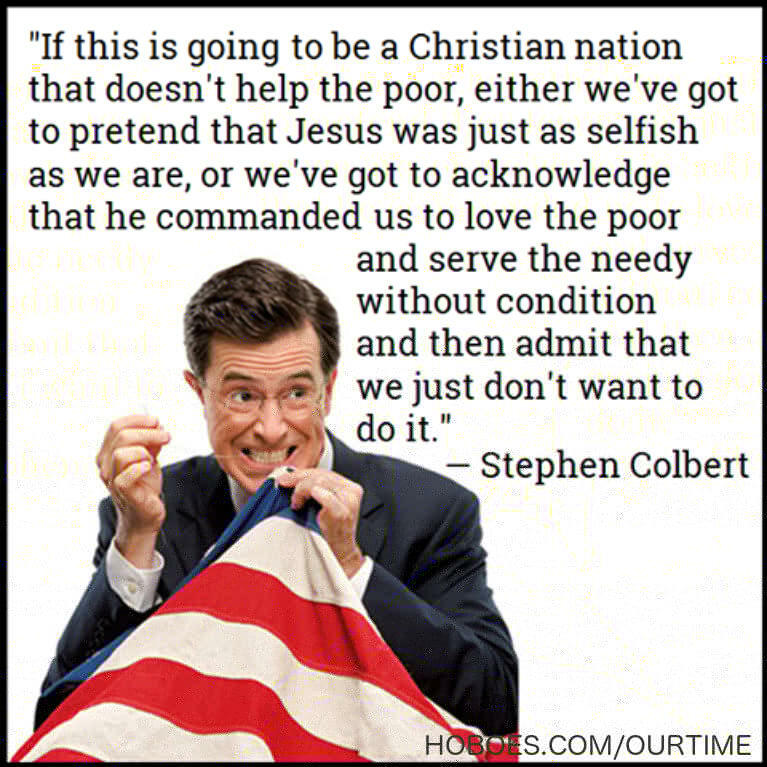 Most American Christians will tell you that being a Christian nation means we were founded in Christian values, and that this includes, as part of life, liberty, and the pursuit of happiness, the freedom to choose our own Christian duties, the freedom to choose our own charitable acts. The freedom, that is, to choose wrongly as well as rightly; that virtue is no longer virtue when it is forced upon us by the government. This is what you want, right? This is what you’re asking for when you ask us to become a Christian nation by forcing Christian works? Because that is not a nation I’m looking forward to. I’m not going to go into the provenance of the statement. Given how cavalierly most quotes on the Internet are sourced, I wouldn’t be surprised if Carter never said this. I see some people claiming it was said by some comedian or talk show host named John Fugelsang. Further, for all his faults Carter is big on private charity. I just saw the second part of the Atlas Shrugged trilogy. It is amazing. The voters will look up and shout “save us!” History will look down, and whisper “no”. Frederick Douglass was born in slavery and escaped it. He tells us that slavery by its very nature destroys rather than creates wealth. That it creates a poverty not just of mind and spirit, but of the pocketbook as well. Left believes atheists are wasteful bullies? The left is touting a new study that claims to show that those without religious upbringing are more likely to sympathize with victimizers than with victims, and are more wasteful with other people’s resources. When the left sees a kid throwing a rock at other kids, they see an opportunity: to stop budding geologists from collecting rocks. Christian values at the point of a gun last modified November 30th, 2014.